Kayode has always been a go-getter. He worked as a reporter for a media company before relocating to Ibadan in order to pursue his dreams. Immediately he settled in Ibadan, he attended the WAVE training. He learnt about WAVE from one of the social media channels and decided to give it a try. Although there were a lot of challenges and obstacles when he began the training, Kayode did not allow these get in the way of him achieving his goals. He was determined to get the best out of the training, and he did all he could to make it happen. 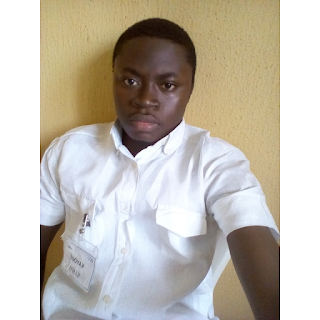 After the training, he got the opportunity to intern (job shadow) at International Institute for Tropical Agriculture (IITA), where he was able to put to practice, his time management skills learnt during the training. He said; "My resumption time was 7.30am and once it was 7.45am the gates where locked, lateness was a grievous offence but my experience at WAVE had already taught me how to manage my time properly". He was also delighted to have been exposed to a lot of things concerning the hospitality practice through his job shadow experience. Kayode is currently a manager at Simbatoro Homes&Apartments, where he oversees the daily activities in several apartments and makes sure everything runs smoothly. He wishes to learn and gather enough experience that will help him achieve his goals, as he builds up a career in the real estate industry. He advises young job seekers to be patient and also attend vocational trainings such as that of WAVE. "The most important thing isn't getting a job but staying on the job, your qualification may get you a job but it won't keep you on the job, and this is exactly where WAVE comes in". very Inspiring. Please is WAVE in Imo?